Unfortunately, being assaulted by another employee doesn’t mean that your boss has to fire the other employee. While it certainly would be best practices to do so, your boss could even decide to fire you instead. So what should you do? First, definitely report the physical conduct to your supervisor. If you were assaulted by your supervisor, go to your supervisor’s boss. Assault can be pretty much any physical contact, including pushing, punching, slapping, etc. Then it will be your choice whether or not to report the assault to the police. You could also sue the other employee for assault and battery, but you may not have significant damages if you weren’t injured in the assault. However, it’s still assault if someone makes physical contact with you without your consent, even if you aren’t injured. Is There A Harassment Law? So Can I Sue My Employer If I Get Assaulted At Work? There are two different theories that would permit you to sue your employer if you are assaulted by a fellow employee at work. The first is respondeat superior, which is Latin for “let the master answer.” It is a legal doctrine that says the employer is responsible for the employee’s actions taken in the course of their employment. The second theory is based on direct liability, and the argument that your employer failed to provide you with a safe environment. 4. If the force is intentionally used, it is not unexpected to the employer. Obviously, it is fairly difficult to meet all of these requirements. Usually, any assault that occurs during work time meets the second prong, but will fail the rest of the test. Assaulting an employee is almost never in the interests of the employer, and the employer would never expect one employee to assault another. Even if you can prove all parts of the test, the courts will not hold the employer responsible if either the use of force is so excessive and so dangerous as to be without responsibility or reason, or the employee assaults the other for personal reasons. If you were assaulted at work because you did not get along with your coworker, your employer will not be held responsible for the assault. 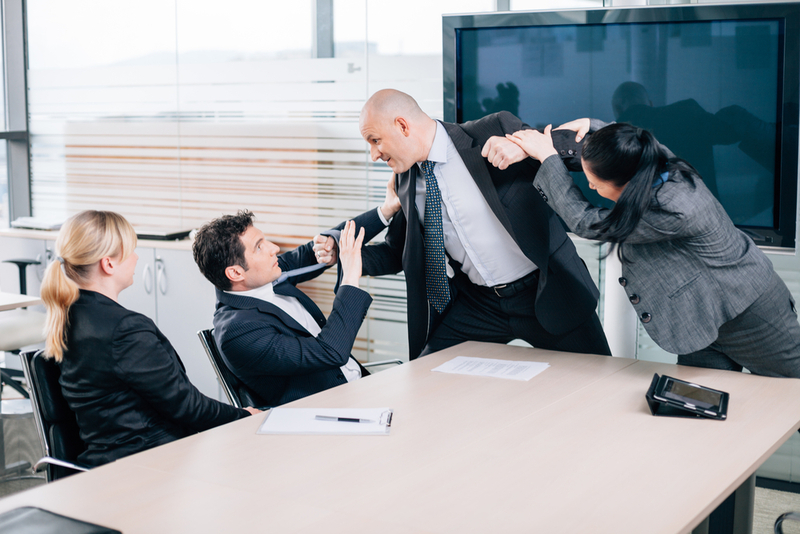 Under the theory of direct liability, the assault would have to take place at work, and the employer must know that the employee is likely to assault another person. Unless the employee has assaulted someone else before, or has a history of violent acts, your employer probably doesn’t have sufficient knowledge in order to be held responsible. However, if this employee has assaulted someone else or you before, then your employer could be held responsible. This is why an employer should fire someone when they physically assault another employee. Chat with an employment attorney today: (412) 626-5626 or lawyer@lawkm.com. There are two different theories that would permit you to sue your employer if you are assaulted by a fellow employee at work. The first is respondeat superior, which is Latin for "let the master answer." It is a legal doctrine that says the employer is responsible for the employee's actions taken in the course of their employment. The second theory is based on direct liability, and the argument that your employer failed to provide you with a safe environment. 1. It is of a kind and nature that the employee is expected to perform; 2. It occurs substantially within the authorized time and space limits; 3. The purpose is to serve the employer; and 4. If the force is intentionally used, it is not unexpected to the employer. Under the theory of direct liability, the assault would have to take place at work, and the employer must know that the employee is likely to assault another person. Unless the employee has assaulted someone else before, or has a history of violent acts, your employer probably doesn't have sufficient knowledge in order to be held responsible. However, if this employee has assaulted someone else or you before, then your employer could be held responsible. This is why an employer should fire someone when they physically assault another employee.